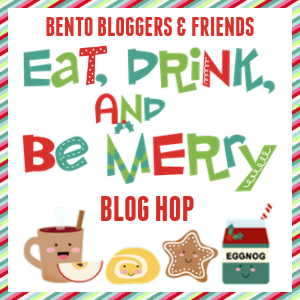 It's that time of year again, time for a Bento Bloggers and Friends blog hop of festive fun foods. I'm enjoying the whole Christmas cuteness this year, with reindeer crackers and pressed sandwiches and fruit wreaths. I even have something special coming up tomorrow! But today, I'm going for a traditional Christmas bento of yummy foods. This lunch features two Christmas tree sandwiches, ham and cheese on whole wheat bread, cut with Wilton Christmas tree cookie cutters and accented with star picks. Mini silicone containers hold raspberries and blackberries in the same compartment to keep the bread dry. To the right, we have an almond poppy seed muffin with a gingerbread man pick, along with a clementine orange with a teeny Christmas candy pick, both stored in silicone cups for stability. Lunch is packed in EasyLunchboxes! Want to see more great holiday food ideas? 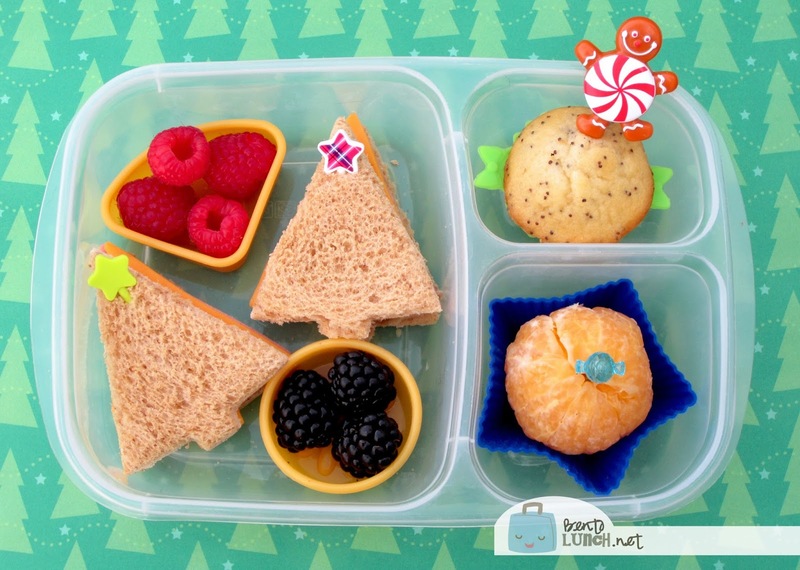 Just click the button below to visit my friend Little Miss Bento for another adorable Christmas idea! Such a bright, happy and yummy lunch! What a cute and simple lunch! Looks yummy! I love your gingerbread man pick...cute lunch! fun and festive! love the use of picks too!